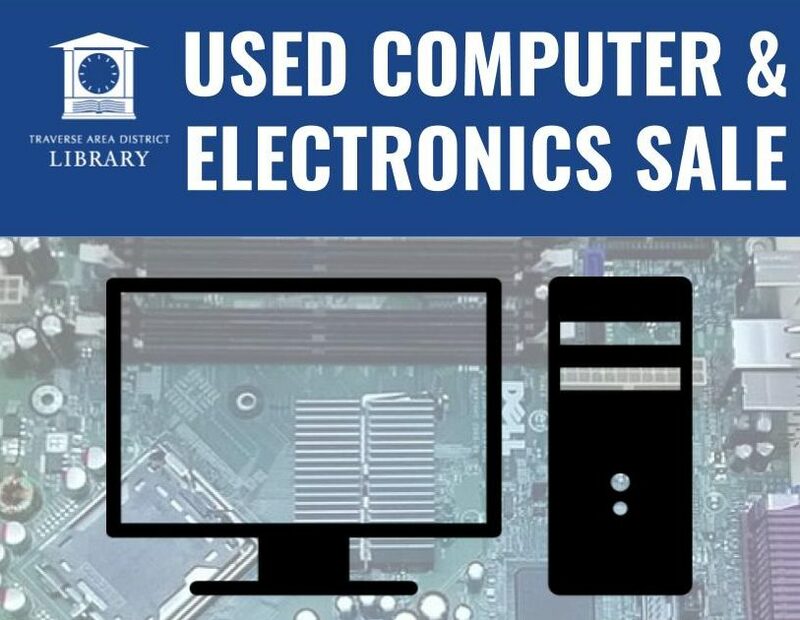 The Traverse Area District Library is once again liquidating older technology items, and passing the savings along to you! The one-day Used Computer and Equipment Sale will feature computer technology items to be sold featuring: e-readers, monitors, desktop and laptop computers, printers, Wireless Access Points, cameras, plus many other miscellaneous electronics. This event is held at the Main Library’s McGuire Community Room, and is free and open to the public. All sales are final and benefit the Traverse Area District Library. Items sold as is, no tech support offered.